A Meeting of Minds - An Anne McCaffrey Discussion Forum - View Single Post - Collecting Highlight (52) - short story "Apple"
Thread: Collecting Highlight (52) - short story "Apple"
Collecting Highlight (52) - short story "Apple"
You may best know the short story "Apple" from the Talent anthology - To Ride Pegasus. It is the third story of the Parapsychic Center series. 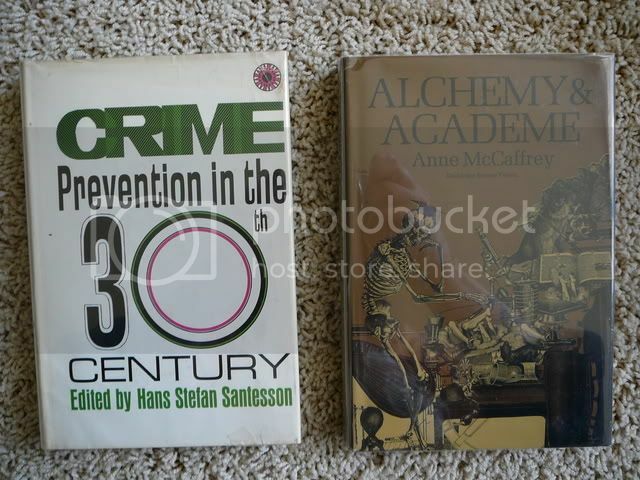 "Apple" first appeared in Crime Prevention in the 30th Century with Hans Stefan Santesson as editor. 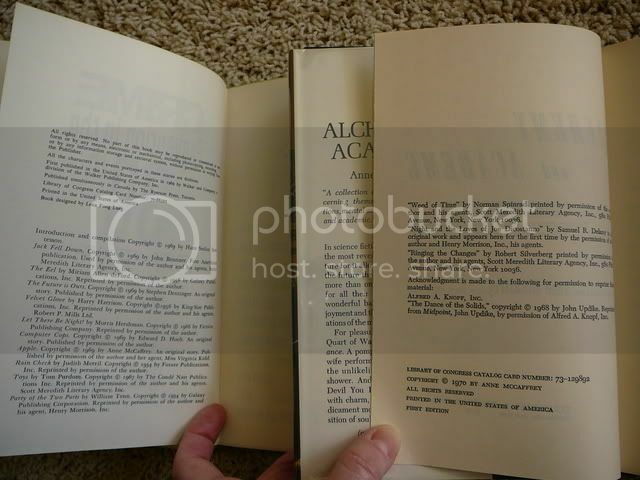 It was published in hardcover by Walker & Co in 1969. Issue price was $5.95. Copies can be found on ABEBooks for $10 - $22 US. Then in 1973 it was published in To Ride Pegasus. 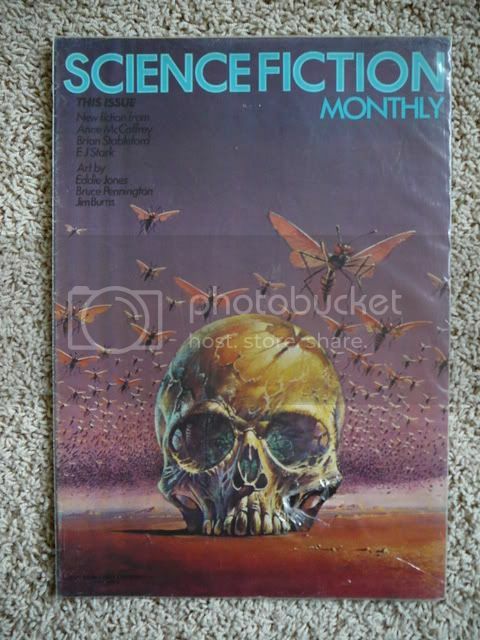 The fourth publishing of the story was in Science Fiction Monthly, New English Library in London, Volume 1 #6 in 1974. This is an oversized magazine, more like a newspaper. 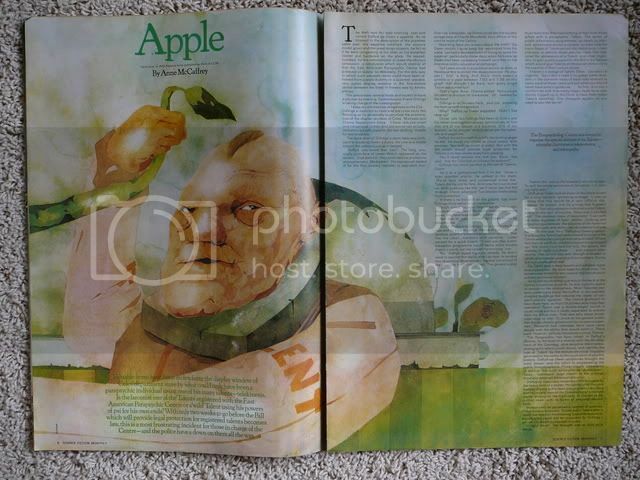 "Apple" is illustrated by Ian Pollock with one in color and two in black and white. Rather unusual illustrations and this magazine was my reason for doing this highlight, but thought I'd better include the prior publications too. 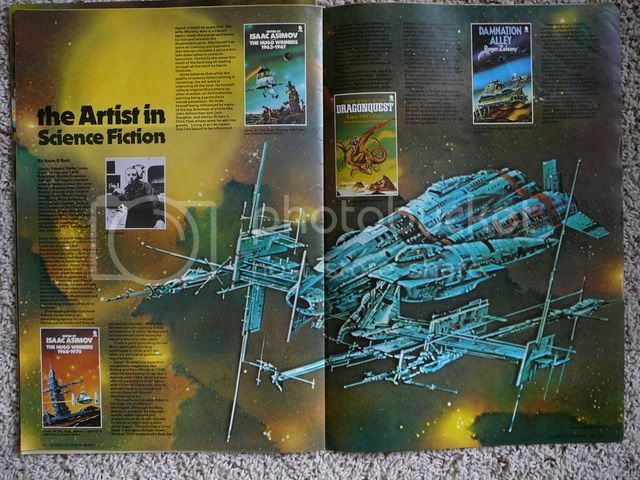 There is also an article on artist Eddie Jones who did the cover art for Shpere Books 1974 paperback edition of Dragonquest included in this volume of Science Fiction Monthly. 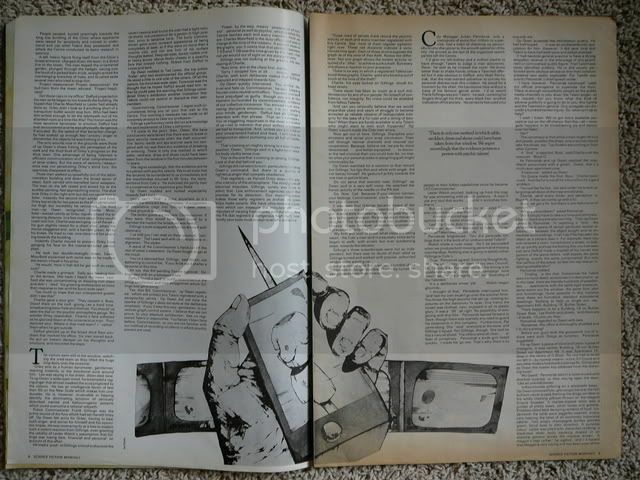 A copy of this magazine recently sold on eBay for around $12.00 US. It was sold by a seller in Dorset, UK so a difficult find for those of us in the US. 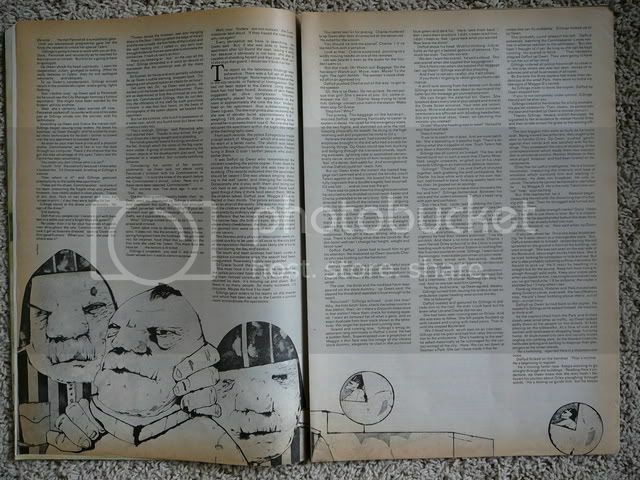 The story was then published in 1977 in Get Off the Unicorn and again in the Science Fiction Book club publication of The Wings of Pegasus in 1991.